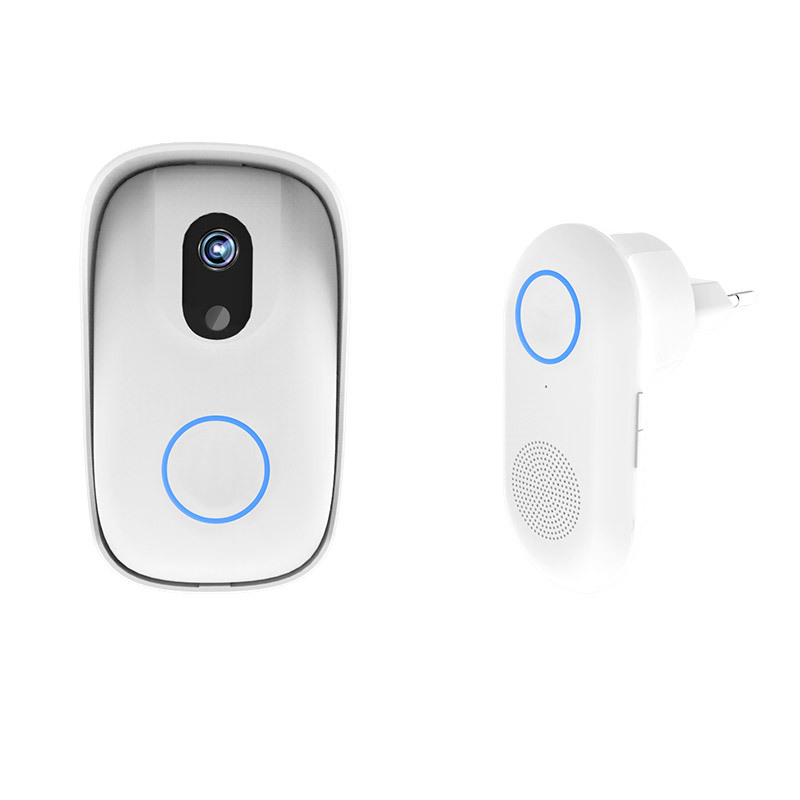 3.Can eye4smart doorbell model D2 customize the music selection? A : Yes, Eye4Smart Doorbell model D2 features an list of 7 music types on the indoor doorbell, when someone presses the button on your Eye4Smart outdoor Doorbell. 4.What if someone steals my eye4smart doorbell? 5.How is eye4smart doorbell power supply? 6.Can eye4smart doorbell withstand the elements: extreme heat, cold, rain and snow? 7.Can eye4smart doorbell capture clear photo or video footage even at night? 8.Can i record and store the photos or videos from the camera? 9.What is the longest distance between indoor doorbell and lan router, indoor doorbell and outdoor doorbell ? 10.How long is the RF transmission distance between indoor device and outdoor device? 11.How long is the WiFi transmission distance between indoor device and wireless router? 12.How long is the distance between Smart phone and router? 13.Whether D2 have Listen and Audio functions? 14.Will it Push one picture to phone APP each time that outdoor device’s ring button is pressed? 15.how long can the pictures keep saving in phone APP message center? Can share and download these pictures? 16.Whether D2 have night vision effect, and what is the function of the outdoor camera’s LED light? W: P1 has a night version light，it is a white LED, can Snap face image and send this image to phone.